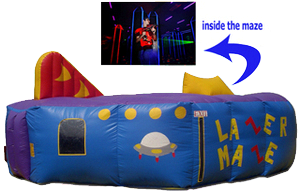 This Laser Maze Tag Game is designed for 6 kids at a time. Recommend kids under 12. This unit may temporarily collapse as kids enter and exit this unit!! !